The pre-apprenticeship program “Constructing Hope,” a certified African American-owned training facility in northeast Portland offers 180 hours of classes and hands-on training for jobs in construction. 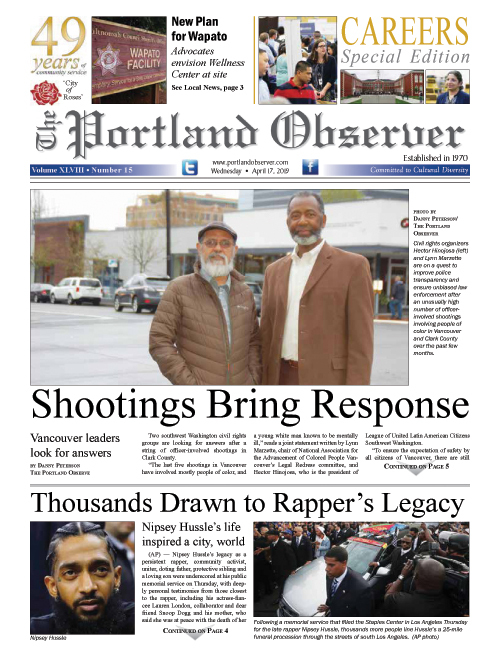 The African-American led nonprofit Constructing Hope will expand its construction training facility in northeast Portland thanks to an investment of $300,000 from Prosper Portland, the city’s economic development agency. Plans for a larger facility will increase the organization’s ability to training more participants, from 100 to 200 annually. The expansion will also support business equity in the community through the use of certified Minority, Women Owned and Emerging Small Business contractors and architects. Constructing Hope will complete funding of the $500,000 project through other grants and community donations. Constructing Hope provides no-cost, 10 week construction training programs, placement services, and career advancement support. Graduates enter construction apprenticeships that are the pathways to careers as carpenters, laborers, roofers, electricians, iron workers, masons, painters, sheet metal workers, heavy equipment operators, and HVAC technicians. Last year, the organization placed 83 graduates into employment with an average starting wage was $16.74 hourly. Prior to entering the program these graduates faced barriers like a lack of work experience, little or no advanced education, experience with the criminal justice system, and race discrimination in the workplace. The program works by helping participants move from building small projects like a complex sawhorse to capstone projects like tiny house construction. Participants get a head start toward employment with transportation support for their first job, driver’s license assistance, professional certifications, tools, work boots, and personal protective equipment. At the same time, they learn life skills such as budgeting, personal goal setting, and career development strategies. Constructing Hope graduate Raleigh Morrison shared, “With a criminal background, Constructing Hope gave me opportunity I didn’t think was possible. They’ve given me a whole new life.” So inspirational was Morrison’s experience and resulting middle-class wage of $26.85 per hour; that two of his sons followed in his footsteps and are currently working together on a large concrete project. Community members who are unemployed and seeking no-cost construction training can visit constructinghope.org or call the front desk at 503-281-1234.